This was an exciting weekend for Red. 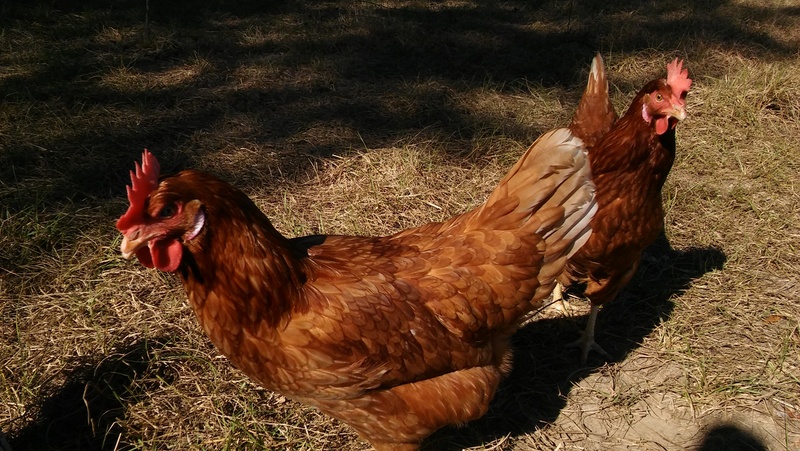 We were able to get Red some companions, three Golden Comet hens who we have named the Golden Girls. 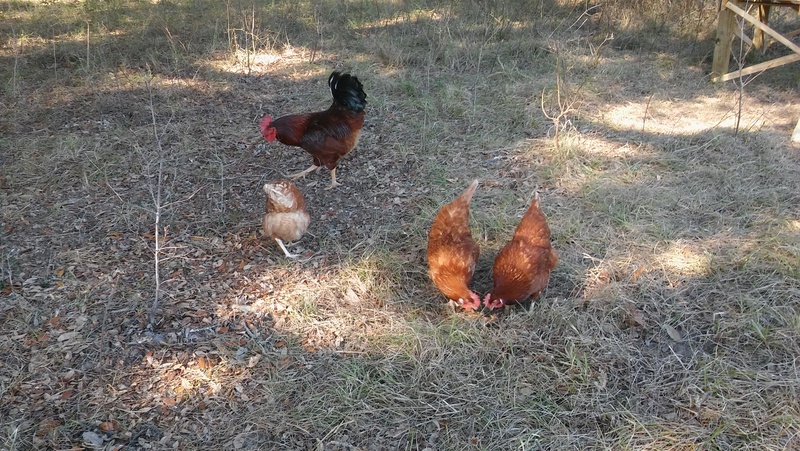 They are the sweetest little hens and even let us pick them up. I think they are really enjoying their new home. Lily and Lola are intrigued by their new pen pals. 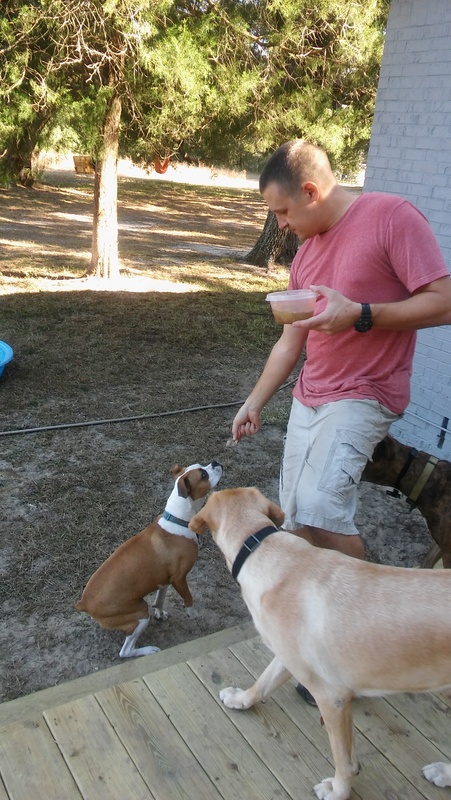 Red with his new family! So Thanksgiving was last week and it was a great day. Stella and I had some mimosas while the turkey cooked. I had harvested some turnips and daikon radishes to roast as a side dish. I forgot to take a picture of them roasted before we devoured them, but here is the harvest prior to being cooked. 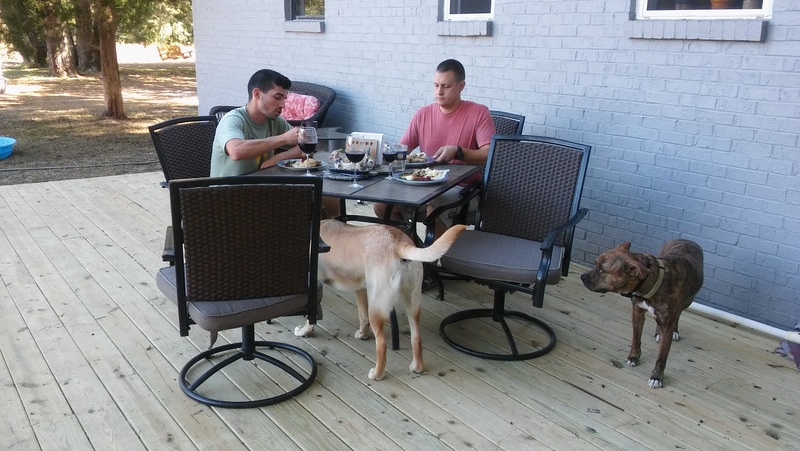 Here are the boys sitting down for Thanksgiving dinner outside on the deck. And here is Stella being treated to her favorite part of the turkey, the heart. Don’t worry, all the pups got an organ to snack on. 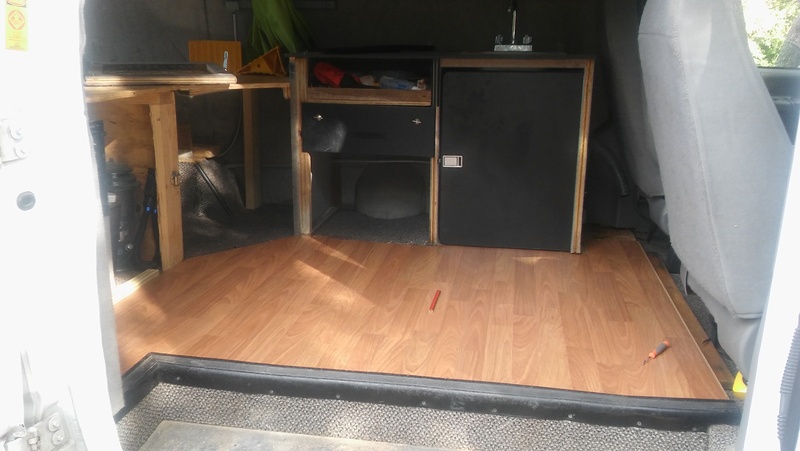 It was such a nice day out so Matt worked on ripping out the carpet in the camper van and replacing it with vinyl flooring. Because in just a few days we are headed off to San Antonio, Texas to visit my dear old friend Ashley! It’s only for the weekend but we’re restless for a good road trip! You may have noticed that our buddy Roscoe was back to visit for Thanksgiving. Matt and Roscoe are good friends. See how happy they are together? Well it’s time for me to go pack up my boots and hat. Talk at y’all next week! We’ve been noticing lately that Red seems a little depressed. He just hasn’t been himself and we decided we needed to cheer him up by getting him some lady friends. But first we needed to construct a place for them all to live since Red has been crashing at the goats’ pad. On Saturday while Matt was out yard saling, he was able to score some free pallets and plywood so we got to work! We started the structure out by the shed, but then moved it into the goats’ pasture before it got too heavy. Daisy and Maggie figured they could lend a helping hoof too. And voila! 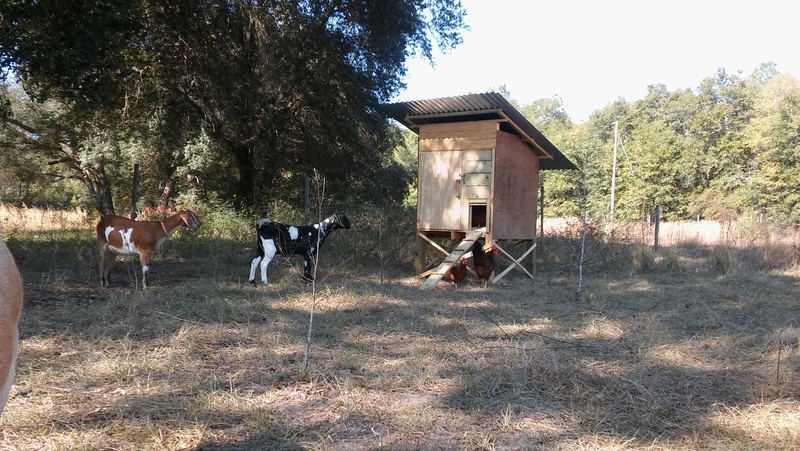 The upcycled coop was complete. The only purchase made to complete the coop was the roofing because we wanted to make sure it stays dry in there. So we were able to complete the coop for a whopping $30. Then Matt tried to coax Red into the coop with some freeze dried meal worms. 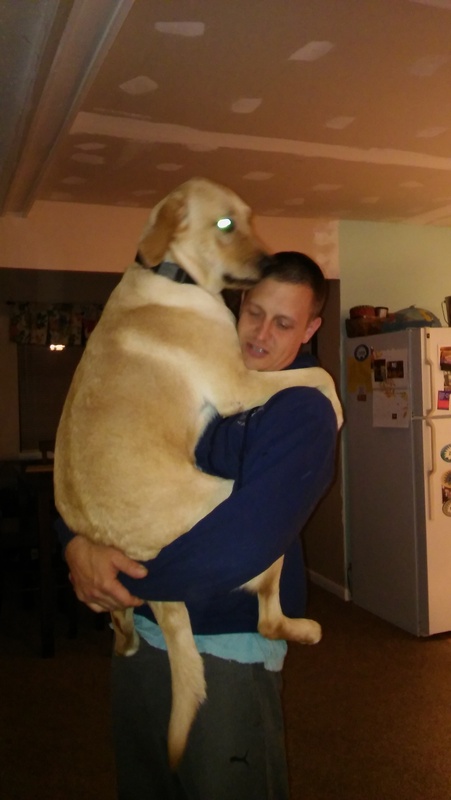 But Lola startled him right when he was at the door. So he’s still hanging at the goats’ place until we are able to find him some hens. You may have noticed our friend Hershel in one of the above pictures. Hershel is the owner of Shires Soaps of NH which I referenced in Week in Review back in January. Anyways, he was travelling back from Texas and stopped in for a visit! It was great to show him the farm and discuss our different ventures. Saturday night the temperature took a tumble into freezing temperatures. Despite our best efforts to cover plants in sheets and buckets, we still suffered some pretty disappointing losses. The tomatoes, cow peas and cayenne peppers are now taking a dirt nap. I picked all of the cowpeas off the plants to eat more like green beans than peas. Temperatures dropped into freezing again last night and plan to drop again tonight before returning to overnight lows in the 40s and 50s. Oh the woes of a farmer. 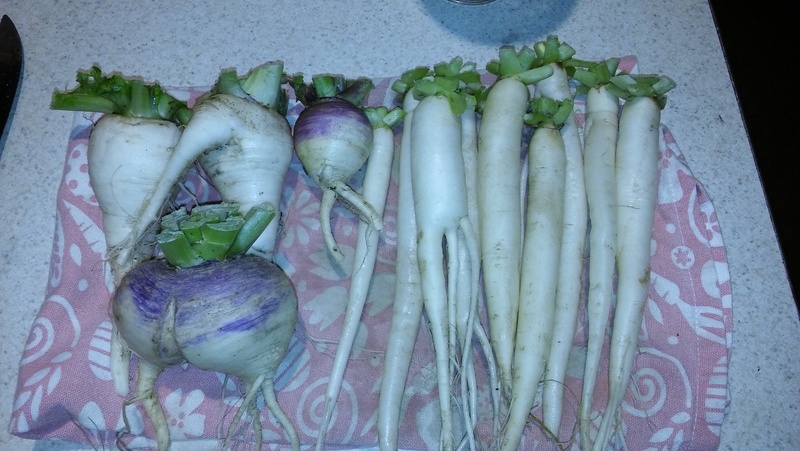 On a more positive note, we have started harvesting some daikon radishes and purple top turnips. And the Swiss Chard, Mustard Greens, Butter crunch lettuce and kohlrabi seem to be surviving these bitter cold temperatures. Rock on little plants. And you’ve still got a day to get your bids in on Teenage Mutant Ninja Turtles: Hyperstone Heist video game for the Sega Genesis. …because on Tuesday it rained! Finally! It was less than a half inch of rain, but it was pretty exciting to see precipitation after so long. On Saturday Matt and I built another platform for the goats to jump on and connected everything so they have a goat jungle gym in their pen now. Lily and Lola were super excited, running and jumping and playing on it. Daisy is an acrobat and used the top platform to reach the delicious leaves on the tree. And here’s Farmer Matt with all his girls. Earlier this week when I was feeding the goats I noticed I was being watched. I snapped this picture of the creeper. 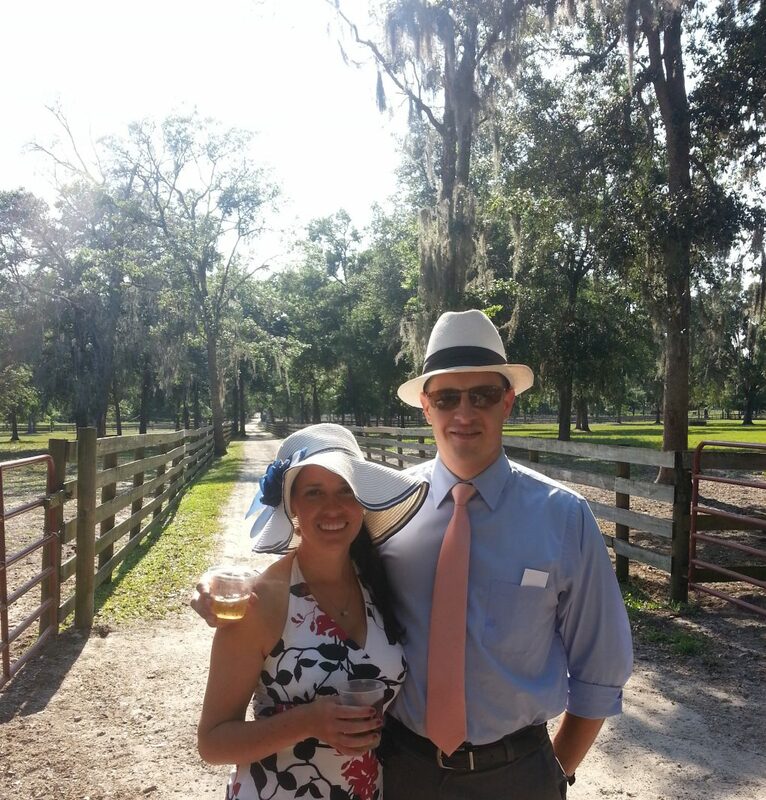 On Sunday Matt and I went to a Wine Tasting at The Wine Bar on Palafox to benefit the Friends of Escambia County Animal Shelter. It was a great event! 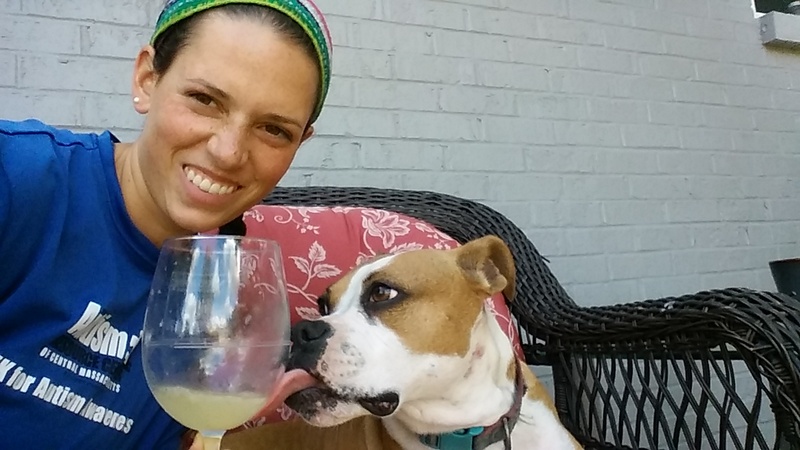 You can’t go wrong with wine and puppies! Speaking of adorable puppies, look at these cuties enjoying a little porch swing action. In the wonderland of eBay we are currently selling 2 New Kids on the Block cassette tapes! Time to relive your childhood you 80s babies! Did you find it? One of our chickens laid a miniature egg. How strange. I’m not really sure what to do with it. The question is, when I crack it open, will it have a yolk or no yolk? Anyone want to place a bet? Anyways, it was another productive week on the farm! 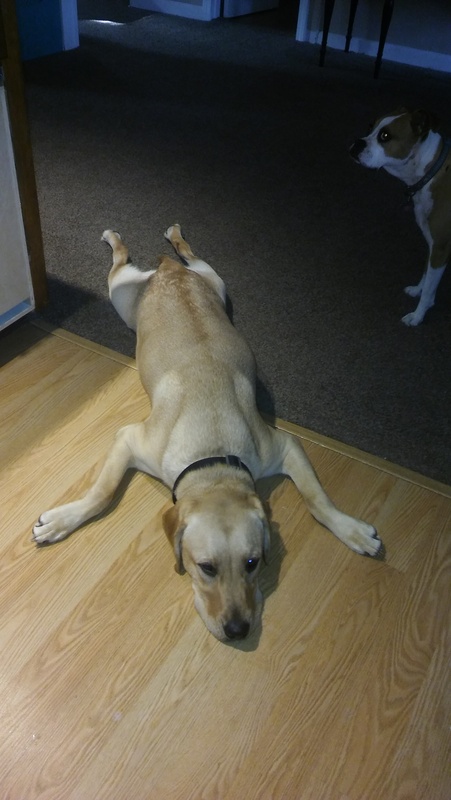 We had a very active yellow lab visiting with us. 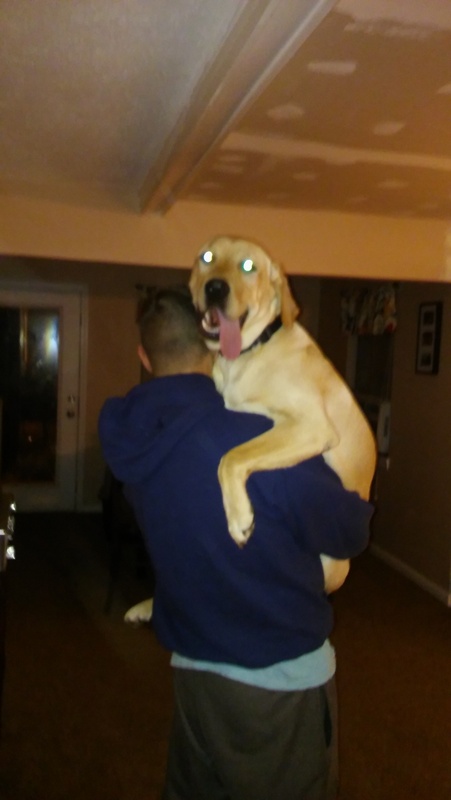 He was such a sweet boy, we’re happy he’s going to be coming back to join us for Thanksgiving! On Saturday Matt and I constructed a cheese press for about $15! I was pretty excited that I didn’t have to spend $100-200 on one since my makeshift cheese press wasn’t going to cut it long-term. This morning I started another batch of Colby cheese and it is in the new cheese press as I type! In other exciting homestead news, my porch swing has been hung from one of my lovely live oaks. And my furry friends were happy to test it out with me. Can anyone spot the best feature? Cup holders! You got it. For sippin’ lemonade, of course. In gardening news, we have a few turnips which are looking pretty strong. And some mustard greens, daikon radishes and tomato plants which are just about ready to produce for us. We’re hoping for an abundant harvest for Thanksgiving this year. We’re still picking cucumbers and cow peas! In the wonderful world of eBay we are currently selling a Blauer Cold Weather Police Jacket. This was actually Matt’s, not a yard sale find but he won’t be needing it! Practically brand new folks! That’s probably all the excitement you all can handle today, so until next time! This week Joe and I went over to Manning’s Feed and Seed and bought a peach tree, 2 apple trees and 2 muscadine grape vines! Joe and I got the apple trees and peach tree planted out in the food forest. Then Matt put up some fence for the grapes and we planted those in a different spot. Adding fruit and nut trees and other perennials to the farm is exciting because hopefully they will produce food for us for many years with very minimal effort on our part. Speaking of farm produced food, this weekend we had a wine and cheese tasting of our very own muscadine wine and colby cheese which had both just finished aging. I’ve also been harvesting some cow peas and drying them for later use. We’ve still got quite a few pods out there are on the plants, so we should have a fairly solid harvest of cow peas by the time the plants quit producing. So now that it’s November we can officially say that we didn’t get any rain in the entire month of October. It’s actually been something like 40 days since any measurable rain has landed on this part of the country which is making growing things a bit of a challenge. We’re able to water the garden from the garden hose on the house, but the food forest is too far for hoses to reach and we have been hauling buckets of water out there to keep everything from dying. It’s been glorious weather for enjoying life, but the plants are crying and the goat pen is a dusty disaster. Unfortunately there is no rain in the forecast so for now I guess we’ll keep hauling water! On eBay we are currently selling a 1990s Barbie Cruise Ship with Barbie included! What a deal!